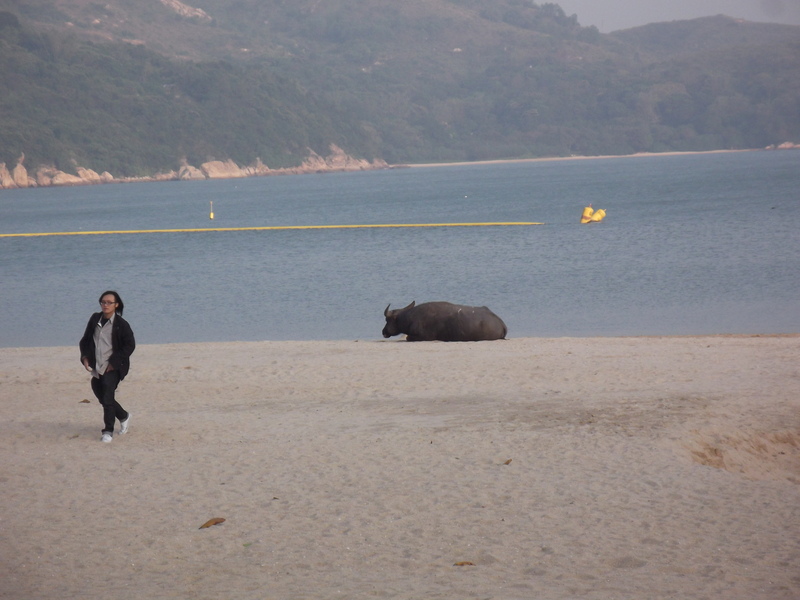 The cows and buffalo that roam around in Mui Wo have it made. They are free range cattle — no farms, no milking, no ploughing the fields, nothing. And on top of having the freedom to chill on the beach, roam around town and munch on whatever plants they like, they also have the benefit of being well taken care of by a posse of dedicated buffalo soldiers who look out for them, and help them out when they are in need. I don’t know exactly who they are, but all over Lantau island there are people (predominantly women, and most of them expats) who are loyal watchdogs for these feral beasts. 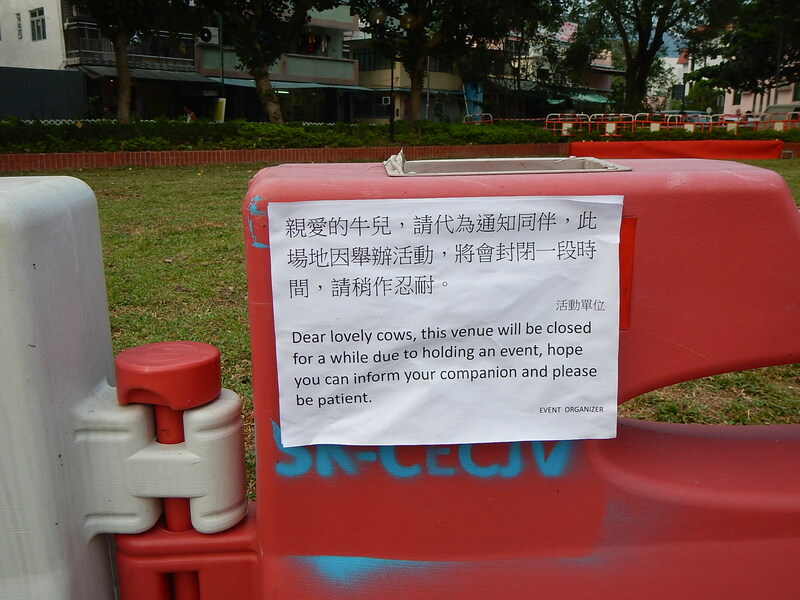 They put up signs urging drivers to go slowly and watch out for the cows who often mosey in the middle of the road and sometimes get hit. If one of them has a limp or an injury, they send out a message and get a vet to come check them out and help them. There are volunteers who check their numbers, take note of how many babies there are in the herd, and notice when one or two are missing. 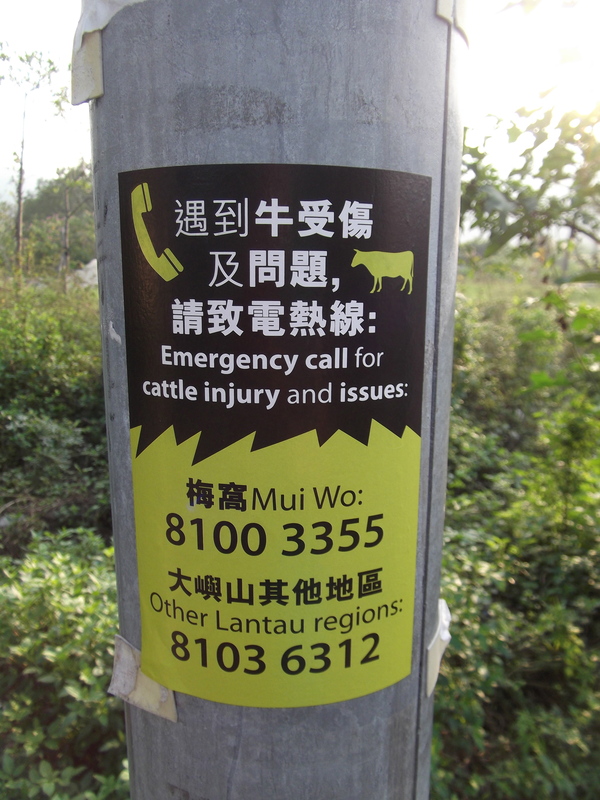 Recently I’ve seen this new sign up all over town — a cattle hotline! Must be nice to be so loved, eh? And to not even have to do anything, other than just be you!